Each winter, thousands of residents in Minnesota’s Ramsey and Washington Counties struggle to access basic heating and utilities. When a household finds itself in need, it turns to the Community Action Partnership of Ramsey and Washington Counties, which runs one of the state’s largest low-income home energy assistance program. To automate the case management process, the agency began scanning applications and related documentation into a Laserfiche document repository connected to automated document filing, routing and approval workflows. 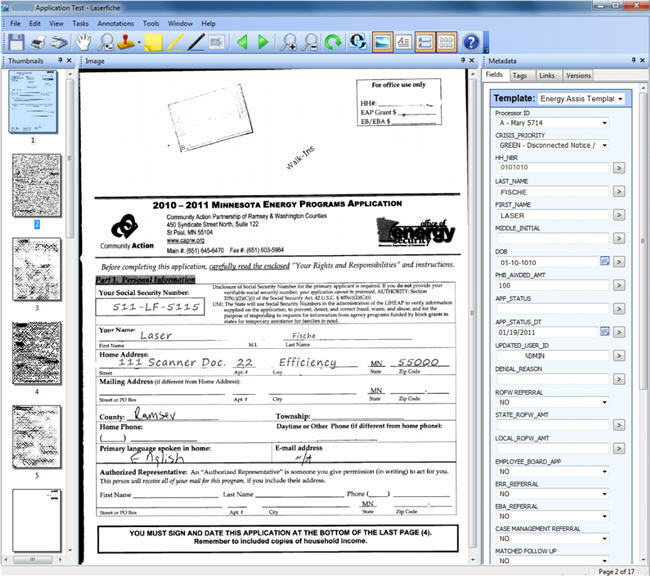 Workflows automatically create case folders for new scanned applications, including eligibility worksheets and case note logs, and route them to case workers for review. Urgent cases can be automatically sent to an expedited processing queue. Staff members can re-direct files to other groups for review and action. If a case worker chooses “yes” under Furnace Problem metadata field, Laserfiche will auto-route the file to the furnace repair group for attention. In addition to expediting service delivery for low-income residents, the new case management process also streamlined the program’s twice-yearly audits. By law, the agency is required to keep archived case files for three years. Being able to store all records in TIFF format was another reason the agency choose document management software. The open file format ensures that the files stored in Laserfiche will still be supported in 25, 50 or even 100 years. Laserfiche’s TIFF archival format means that the agency can continually adopt advances in hardware, software and communication technologies without limiting access to their records. Built-in Windows authentication and named-user access to the repository also enabled the agency to better protect sensitive client information, like social security numbers. 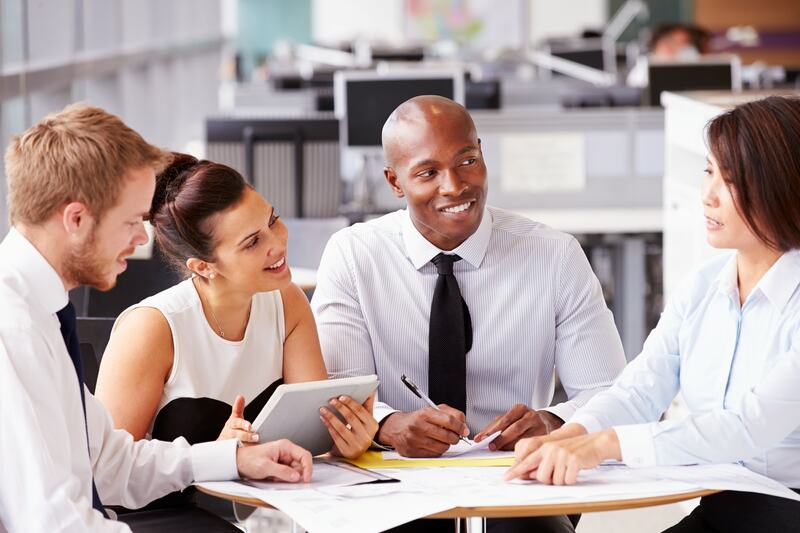 Looking to digitize the case management process at your agency? Get a free demo of Laserfiche software for case management today.